Tuesday night’s match was remarkably pleasant. A two-goal lead after 23 minutes normally has that effect. Luke Ayling defied his detractors by rediscovering his 2016-17 form, racing forward with that treacherous-looking dribble of his to provide two assists. Paddy Bamford was performing step-over dummies with the carefree gait of his party colleagues leaving the Common Market, Mattie Klich was back among the goals and Pablo’s cultured wand had dispatched one of the neatest finishes you are likely to see off not one, but both of Arsenal loanee Emiliano Martinez’ uprights. The grinning Yorkshire Pirlo was dispossessing the Royals’ attackers with consummate ease, while Liam Cooper was performing contortionist miracles, winding his frame around Méité, Swift and Loader to poke the ball onto the welcoming instep of a fellow Leeds defender. We had even had a booking for Tyler Roberts for a crunching, totally unnecessary but thoroughly enjoyable tackle on John Swift. We also had Ayling yellow-carded for a lunge on former Leeds man Mo Barrow, but more about that later. Another addition to the Pablo Hernandez’ Beautiful Goals Netflix Documentary on the stroke of half time left the Whites in very unfamiliar midweek territory. Utterly dominant in every area, Sky Sports commentator Tony Gale was running out of superlatives. His initial caution on the amount of space both sides were yielding and the numbers with which they were attacking faded as he was swept along by wave after wave of Leeds attack, eventually feeling the impulse to join the travelling Leeds support in their rendition of the Patrick Bamford chant. 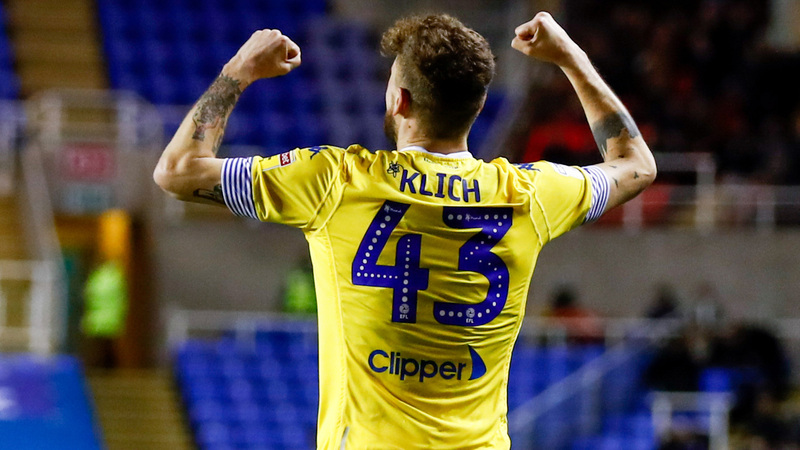 Reading’s hacked and hurried clearances fell inevitably at the feet of a Leeds player, who immediately brought the ball forward to where the away side had numbers. The Royals were simply pummelled. On the rare occasion they broke through, El Gato Casilla stood strong, saving a near-post effort from Andy Yiadom with the confident nonchalance of a man who has three Champions’ League medals at home. A leaking Madejski Stadium watched a second half in which Leeds held their opponents at arm’s length, the only major talking point coming when the booked Luke Ayling again upended Barrow. Reading players surrounded the referee with a fervour that suggested they had notions of getting back in this game, but Gavin Ward settled for a quiet word in Bill’s ear. 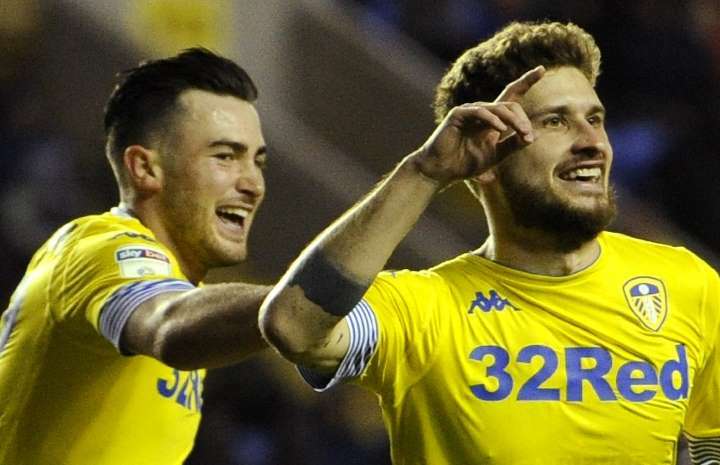 It would be his last action of the game anyway, Stuart Dallas replacing him minutes later. 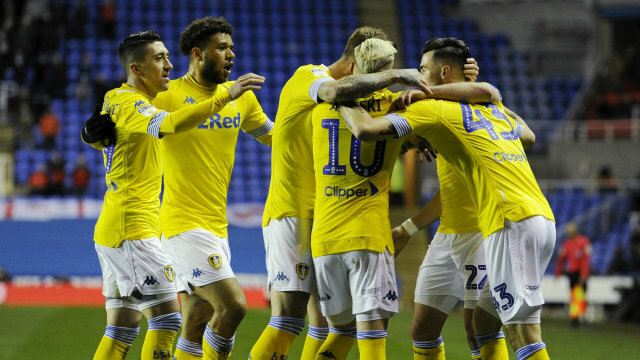 Baby Shack and Barry Douglas were also sprung from the bench as Leeds managed the remainder of the game, noteworthy mostly for the laughable finishing of a visibly knackered Bamford. How times have changed, that our top striker’s profligacy on a Tuesday night away from home was a matter for mirth, rather than an open invitation for fickle fans to slide into his DMs with unsolicited career advice. There was also a Kodak moment for Casilla towards the end, leaping into the air to turn away a bullet header from the impressive Yiadom as he snuck in between Cooper and Alioski at the back post. Three points. Three goals. A clean sheet. On a Tuesday night. We are well and truly through the looking glass for those among us who remember the horrors of the 7-3 defeat to Forest back in 2012 or Paul Rachubka’s footballing wake as he shipped five against his old club Blackpool in a 5-0 defeat. That was on a Wednesday, but the sheer humiliation of it all slots it neatly into the Midweek Disasters folder. Simply sublime. Many have drawn comparisons with Pablo and Gordon Strachan’s role in Leeds run to the 1992 title, such is his influence and ability to produce when it matters. Last night demonstrated the full arsenal of Pablo’s talents, with two excellent finishes and a Man of the Match performance. The fact that Liam Cooper was not named in Alex McLeish’s Scotland squad hours before this game is almost unfathomable. 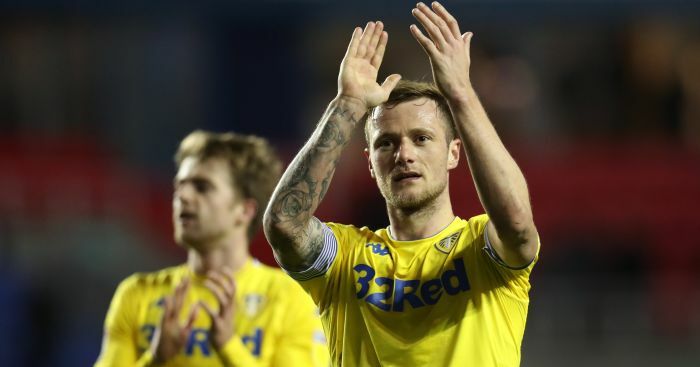 I outlined the Leeds captain’s renaissance in an article last week, and he delivered his most complete performance of the season last night. His positioning, distribution and anticipation were outstanding. 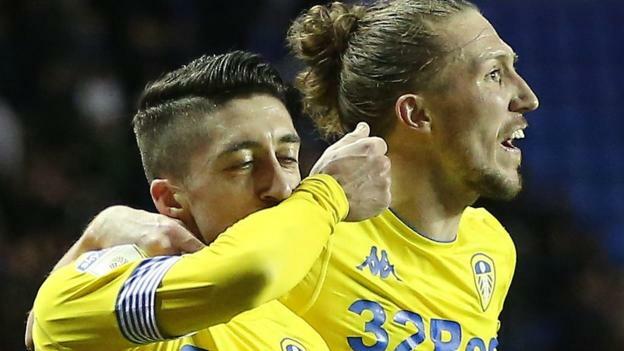 He was controlled and aggressive in the tackle, nicking ball after ball from the Reading attackers’ feet, and was on call to bail out Jansson after a Royals attacker scampered free down the Leeds right. I criticised Harrison in the aftermath of the defeat at QPR, but over the last few games he has responded. (He obviously read it carefully). The habit of surrendering possession with a fumble of his feet has eased. His slaloming run and cut back to Tyler Roberts at Ashton Gate on Saturday almost resulted in a goal for the Welshman and against the Royals he linked up well with Alioski, tracking back effectively and driving forward much more confidently. Hopefully his upward trajectory is Premier League-bound in a white shirt. We won, away, on a Tuesday night, by a three-goal margin and went top of the league. Alright, Norwich got past an inept Hull last night to take it back, but psychologically, the feeling of going top is always a boost. One of the best moves I’ve witnessed on a football pitch came within a whisker of giving Leeds a fourth goal in the second half. Casilla started the move in his penalty area, chipping an inch-perfect ball over the head of a Reading winger and into the path of Stuart Dallas. The Coagh man stretched out his foot and nudged it neatly into the path of Pablo. As it bounced in front of him, the Spaniard unleashed a full-width, cross-pitch volley right onto the foot of Jack Harrison. The winger repeated Dallas’ trick, trapping the ball for Alioski, who split the Reading defence with a 50-yard punched pass that almost fell perfectly for Tyler Roberts in the box. All that stood between us and the goal to end all goals was a first-time Roberts cross into the path of Lord Bamford to tap home a fourth. I suppose you can’t have them all. In a season that has tried the most trustworthy of tickers, this game was a welcome relief. On we go to the weekend and the colossal derby clash with Sheffield United, hot on our tail. 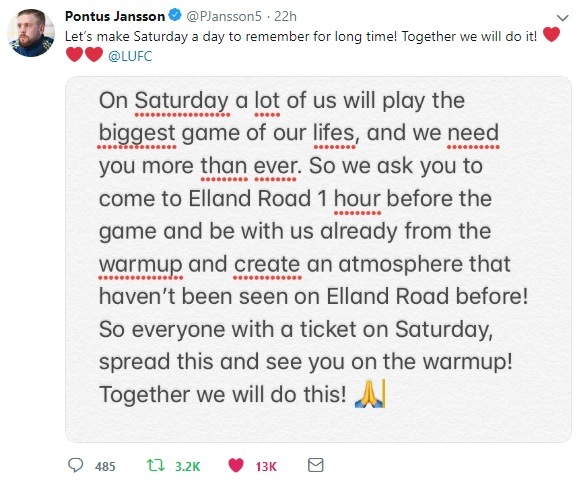 Get there early – Pontus’ orders!